Have you enjoyed a banana cocktail lately? Though we often associate the fruit with healthy smoothies, it is a fabulous flavor for adult beverages as well. It's true that banana cocktails are not numerous, but those that we do have are a ton of fun and should not be overlooked. If you're ready to go bananas and enjoy a great drink, we have a few in mind. Banana-flavored distilled spirits are few, but they are around. Banana liqueurs are the most popular and are also called crème de banane or banana schnapps. Popular brands include 99 Bananas, Marie Brizard, Bols, DeKuyper, and Hiram Walker. You may also come across recipes calling for banana-infused vodka (though none are included here). These tend to be harder to find and if a vodka brand produces it, it may not be around for long. We have seen a number come and go and if you like, you can always infuse your own. Quite honestly, perfecting your own recipe may be easier than hunting down a bottle. The most popular banana cocktail has to be the frozen banana daiquiri. It is delicious, sweet, and a simple joy to blend up on a hot summer day. The recipe is very easy and all you really need for the main flavor is a single banana. While you have the blender going, you might even create your own custom banana-strawberry daiquiri by tossing a few fresh strawberries into the mix. The banshee is a fun way to drink your bananas and it's one of the easiest ways to mix with a banana liqueur. You'll simply combine banana and chocolate liqueurs, then add cream to create a very delicious little drink. Feel free to play with your banshee as well. Some recipes add a citrus vodka and you can always add a strawberry, coffee, or any other flavored vodka to give it more pizazz. Once again, you'll need vodka and banana and chocolate liqueurs. The banana split martini is a fancier version of the banshee, without the cream. It's a delight to drink and a lot of fun to play around with. Just like its namesake ice cream treat, this vodka martini can take on any flavor you like. Keep the banana, but think about switching to a caramel vodka, adding a coconut rum, or tossing in a strawberry liqueur. You really cannot go wrong in your experiments. The banana hammock is an impressive and tasty banana drink that makes good use of your favorite spiced rum. 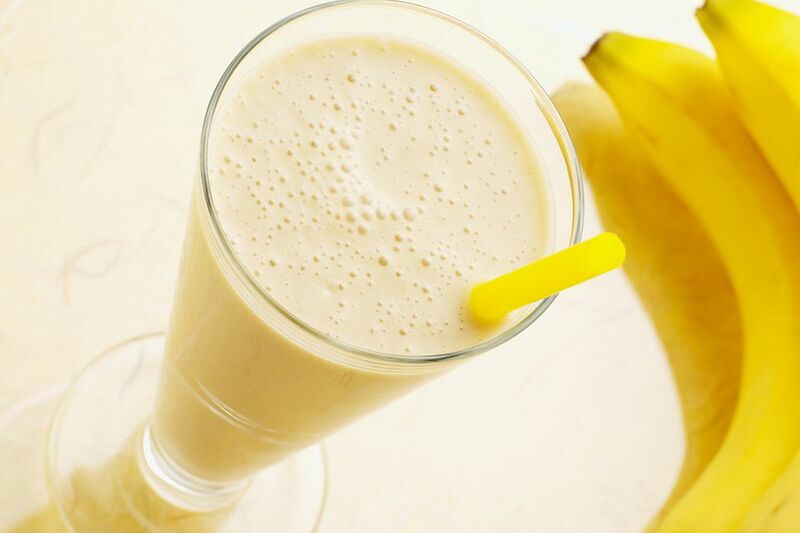 It's a modern recipe and it may just be one of the best banana drinks created to date. The key to this cocktail is the homemade banana syrup. You will simply puree one whole banana and add it to your standard simple syrup. It's fantastic and may find its way into more of your drinks. RumChata is one of the hottest liqueurs on the market and it quickly became a rival to Irish cream and Bailey's as the top cream liqueur. It's a fabulous choice for creating simple, delicious drinks and banana to mix with it. The banana cream pie is extremely simple and all it requires of you is to mix RumChata and banana liqueur. It tastes exactly how its name implies and is a perfect way to drink your dessert. 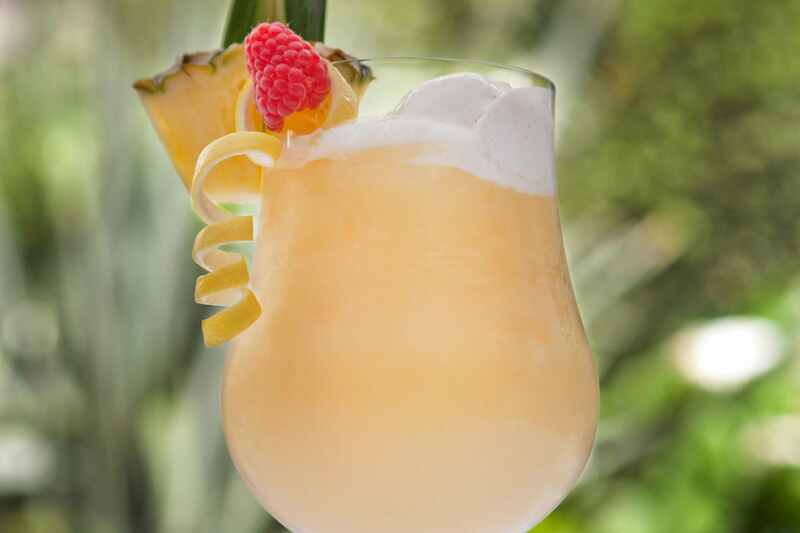 Ready for one of the best tropical fruit cocktails to ever hit a blender? You are going to fall in love with the fresh taste of the rock lobster cocktail. This blend is a fun and fruity one, combining coconut rum, banana, pineapple, orange, and grenadine. It's as if you're just tossing random ingredients into the blender and that's okay. A little splash of this or that never hurt a frozen cocktail, so go ahead and enjoy! The rum runner is a very popular tiki cocktail and there are many ways to make it. Most of the recipes include creme de banane or another banana liqueur and these are often the best rum runners. You will notice some similarities between this and the rock lobster. The main difference is that the rum runner is often shaken. It is a fun beach cocktail and is a good way to finish up that bottle of banana liqueur when you get tired of running the blender. Bananas get a little sophisticated in the yellow submarine, but just a little bit. If you're seeking a quick and delightful vodka martini with a focus on bananas, this is a fabulous option. The vodka is the focus and rum acts as a backup while the banana takes center stage in the flavor department. It gives you that ease of an "up" drink with the taste of the tropics and it's fabulous for a poolside party.